Syd Mead is an artist that I would consider is ahead of his time. The sci-fi art that he has created for films decades ago still hold up well, and still look really cool even by today's standard. This huge 256-page hardcover is a wonderful tribute to him. The pages are filled with concept art he has created for films, such as Blade Runner, ALIENS, Elysium, Tron, Short Circuit and even up to the latest Blade Runner 2049. Those titles are just a small portion of all the works that are included in the book, and there are a lot, including lesser known intellectual properties that he has contributed to. The artworks look fantastic. 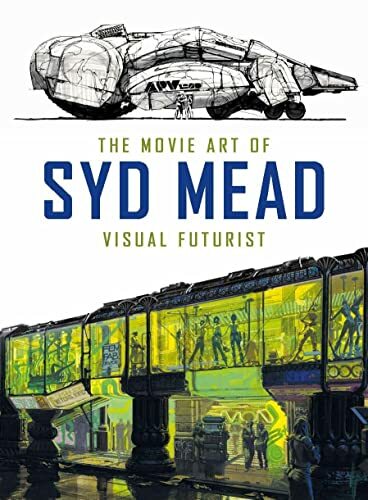 Syd Mead is a very accomplished industrial designer and concept artist. He really knows his stuff. He's good with interior designs, spaceships, vehicles, cities and he has this futuristic vision in his mind that just can't be matched by other artists. As I look at the spaces and worlds he has conceptualised, I was just amazed by how believable they are. He knows how to make things look good and it's no wonder he's a much sought after artist to design for films and production. This is an excellent book for those into sci-fi art and concept art. It's worth every dollar to see such a well curated collection of work from this master.